Crossbridge Financial Group LLC provides independent financial services, comprehensive guidance, and products through dozens of investment and insurance companies. The group was founded in 1997 by John M. Adamczuk, MS, CFP®, AIF® and Gerald J. Randisi, CFP®; who wanted to combine their expertise and expand the range of services and products available for the benefit of the clients they serve. Crossbridge Financial Group LLC has offices in Burlington, Cary and Chapel Hill, North Carolina; and in Fairport and Rochester, New York. It is affiliated with Canandaigua Financial Group in Canandaigua, New York, and Oakwood Financial Group in Webster, New York. All three firms are branch offices of Commonwealth Financial Network®. Fixed insurance products and services offered by Crossbridge Financial Group, LLC are separate and unrelated to Commonwealth. John was born and raised in Rochester, New York. He received his BA from St. John Fisher College, and, in 2005, earned his MS in financial planning from the College of Financial Planning. John began his career as a financial advisor in 1986 with IDS Financial Services, which eventually became Ameriprise Financial. While there, John was a senior financial advisor and Gold Team Advisor, receiving many awards, including Advisor of the Year for the Rochester division. In 1997 Crossbridge Financial Group, LLC, was formed by John and his partners in order to provide a truly independent and comprehensive approach to financial planning. As a founding member of Crossbridge, John believes that in order to provide world-class service and guidance an investment professional needs to be free from the influences at many of the traditional Wall Street firms. John has been consistently recognized as a top-level producer, ranking in the top 20 percent of independent advisors associated with Commonwealth Financial Network®, a leading independent broker/dealer. John has been a CERTIFIED FINANCIAL PLANNER™ professional since 1990. He is licensed in 20 states and holds FINRA Series 7, 30, 31, 63, and 65 securities registrations as a Registered Representative with Commonwealth. John holds health and variable life licenses, the Accredited Investment Fiduciary®designation, is a member of the Financial Services Institute and the Estate Planning Council of Rochester. John lives in Rochester with his wife, Karen, and children, Shannon and Daniel. John is active in the community. He is a former Webster Athletic Association baseball and softball coach, past Ukrainian Cultural Center of Rochester president and board member, past St. John Fisher College Alumni Board member, and former co-chair of the Children of Chernobyl Annual Charity Golf Tournament. He is currently a board member of the Greater Rochester Southern Tier Quality Deer Management Association. In his spare time, John enjoys hunting, fishing, golfing, and working on his hobby farm. Bob Christian is a native of Rochester, New York. He attended Aquinas Institute and Le Moyne College where he graduated with a degree in philosophy. In 1984, he began his career at IDS Financial Services, which eventually became Ameriprise Financial. While there, he was a Mercury Award winner. 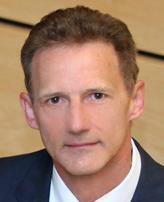 In 1994 he joined Essex Capital Markets as a vice president. In order to provide an independent and more comprehensive approach to financial planning, Bob became an independent financial planner in 1996, affiliated with Investacorp, Inc. In 2007, he joined his current broker/dealer, Commonwealth Financial Network®, conducting business as Christian Wealth Strategies. Bob was excited to join Crossbridge Financial Group in 2017 and reunite with many of his former colleagues. This affiliation provides additional security for his clients with a more extensive succession and continuity plan for his practice. Bob holds FINRA Series 6, 7 and 63 securities registrations, as well as life insurance, annuity, and health care licenses. Bob lives in Holley, NY with his wife, Maureen. They have three children, Matthew (Sarah), Geoffrey (Megan), and Lauren (David), and five grandchildren (and more on the way): Samuel, Robert, Benjamin, Luke, and Dylan. In his free time, he enjoys playing golf, gardening, traveling, and spending time with his family and friends. Brooks was raised in Penn Yan and Ontario, New York. He graduated from Wayne Central High School, later attended Empire State College in Rochester to study financial management and the College for Financial Planning where he became a CERTIFIED FINANCIAL PLANNER™ practitioner. Upon graduation from Wayne Central, Brooks worked as the general manager of Steven's Pro Hardware in Ontario Center, New York, until beginning his career in the financial services industry. Brooks began his career in the financial services industry in 1989 as a financial advisor, then planning analyst, and district manager at Ameriprise (formerly IDS/American Express Financial Services.) Ameriprise is known in the industry for its outstanding professional training program. As a district manager at Ameriprise, Brooks was recognized for his contributions to the Quality of Advice initiative and level of expertise, earning several leadership recognition awards. In 1999, Brooks transitioned to Commonwealth Financial Network® to provide truly independent and comprehensive financial planning to his clients. Brooks believes an investment professional should be free from the quota and product restrictions found at many of the traditional Wall Street firms. Since joining Commonwealth, Brooks has been committed to providing individualized service and guidance to his clients. Brooks has been a CERTIFIED FINANCIAL PLANNER™ practitioner since 1994 and is also an Accredited Investment Fiduciary® designee. He is an Investment Adviser Representative of Commonwealth Financial Network, member FINRA/SIPC, and holds FINRA Series 7, 24, and 63 securities registrations. In New York, he holds health and variable life and annuity insurance licenses. Brooks resides in Fairport. He has two children, David and Vienna. Both children swim competitively: Vienna for The College of Wooster and David for Boston College. Both swim and train with Fairport Area Swim Team (FAST) in the summer. Giving back to the community, Brooks worked to create and served on the board for the Upstate NY ALS Association, spent several years coaching youth sports. He is currently a USA Swimming official and is the Niagara LSC Officials Chair. In his free time, Brooks enjoys golfing, cooking, fishing, and hunting. Brooks enjoys travel, loves experiencing new places, and trying new cuisine. Brandon was born and raised in eastern North Carolina. He received both his BA and MBA from East Carolina University. Brandon began his career with Fidelity Investments with a focus on workplace retirement plans after transitioning to the Raleigh area. He joined Ameriprise Financial in February 2012 and worked as a financial advisor focusing on wealth management and financial planning. Brandon helped drive a dynamic client experience; the practice achieved a 100% client satisfaction score four out of the past five years. In 2017, Brandon joined Crossbridge Financial Group, LLC, to continue to work with his clients through a personalized and comprehensive approach to financial planning. He works with individuals, executives, and small business owners. His areas of expertise are retirement income strategies, wealth management, and managing retirement plans for businesses. Brandon works with his clients to establish an open conversation about their goals for both today and in the future. It begins with a detailed breakdown on covering essentials, ensuring lifestyle, preparing for the unexpected, and leaving a legacy. By establishing a priority list in actionable steps, he helps clients prepare for a confident retirement. A member of Crossbridge, Brandon believes that in order to provide world-class service and guidance, an investment professional should be free from the influences at many of the traditional Wall Street firms. Brandon is proud to be associated with the Commonwealth Financial Network®, a leading independent broker/dealer. Brandon is a CERTIFIED FINANCIAL PLANNERTM professional and holds the Retirement Income Certified Professional (RICP®) and the Chartered Retirement Planning CounselorSM (CRPC®) designations. He also holds FINRA Series 7 and 66 securities registrations and is licensed for health, variable life, and long-term care in North Carolina. Brandon lives in Holly Springs, North Carolina, with his wife, Heather, and daughter, Emery. Brandon is an avid sports fan, specifically football and college basketball. He also enjoys kickboxing and spending time outdoors with family and friends. Cheryl brings to her clients her broad life experience and special appreciation for the financial concerns, life events, and family dynamics that are a common theme for women. Cheryl joined Commonwealth Financial Network® in 2012, and, more recently, Crossbridge Financial Group, in order to offer truly independent, holistic financial advice and planning. Cheryl holds FINRA Series 7 and 66 securities registrations as a Registered Representative and investment advisor of Commonwealth Financial Network. 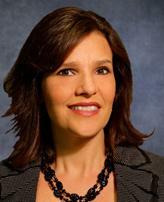 She is licensed in New York for life, health, and long-term care insurance. Cheryl is also a program advisor for College Assistance Plus and seasoned small business owner and employer. Cheryl grew up in Webster, graduated from Cornell, went off to visit places around the world, and has finally returned to Webster. She and her husband, Matt, recently moved into a “fixer upper” on Lake Ontario. They share six grown children (one still in college, but she’s very mature), and two (so far) grandchildren. Cheryl enjoys sailing when the conditions are ideal, adventure travel, and cooking for crowds. She is an earnest gardener and a compulsive composter. She enjoys volunteering with the Rochester Broadway Theater League and is a member of the Rochester Yacht Club, Postprandial Toastmasters, and French Bread Investment Club. Chris began his career as an internal auditor with EF Hutton on Wall Street in 1985. He worked as a senior accountant with Paine Webber in New York City from 1987-1988. In 1988, he joined IDS Financial Services, which became Ameriprise Financial Services Inc. in 2005. While there, Chris was a senior financial advisor, district manager, director of new advisor development, registered principal, gold team advisor, platinum financial services advisor, and private wealth advisor. He received many awards, including Master Leader, Diamond Ring Award, and numerous Circle of Success Awards. Chris has been consistently recognized as a top-level producer, ranking in the top 10 percent of independent advisors associated with Ameriprise Financial Inc. He has the following degrees or professional designations: MBA in marketing, CERTIFIED FINANCIAL PLANNER™ (CFP®), Chartered Financial Consultant® (ChFC®), and Accredited Portfolio Manager (APMA®). He also belongs to the Financial Planning Association. In 2017, Chris joined Crossbridge Financial Group, LLC, in order to provide a truly independent and comprehensive approach to financial planning. He believes that in order to provide world-class service and guidance, an investment professional should be free from the influences at many of the traditional Wall Street firms. Chris is proud to be associated with the Commonwealth Financial Network®, a leading independent broker/dealer. Chris helps his clients achieve their goals for today, tomorrow, and well into the future. It all starts with a personalized conversation about covering essentials, ensuring lifestyle, preparing for the unexpected and leaving a legacy. By breaking your financial goals down into doable steps, we help take the uncertainty out of planning for your future. Chris’s areas of focus are retirement income strategies, investments, wealth preservation strategies, retirement plan distribution, executive compensation, and estate planning strategies. Chris is licensed in 19 states and holds FINRA Series 7, 63, 65, and 66 securities registrations as a Registered Representative with Commonwealth Financial Network. He holds numerous state IAR and state securities licenses, including California, Florida, North Carolina, and New York. Chris was born and raised in Poughkeepsie, New York. He received his BS in marketing from the University of Bridgeport. In 1983, he earned his master’s degree in marketing from the University of Bridgeport. He currently lives in Cary, North Carolina, with his wife, Christine, and two sons, Brandon and Trevor. They also have a British golden retriever named Torrey. Chris is an avid sports fan, specifically college football/basketball and hockey. He also enjoys music and spending time in the summer on his pontoon boat with family and friends. Giving back to the community is also important to Chris and his wife. They donate to a number of organizations annually, including Duke Children’s Hospital and Health Center, Durham Rescue Mission, St. Jude Children’s Research Hospital, Meals on Wheels, Food Bank of Central and Eastern NC, and the ASPCA. Bill held several finance positions, including six years with Xerox Corporation, before joining Crossbridge Financial Group in 2003. Bill joined Crossbridge in order to offer truly independent financial advice to his clients, while also being a part of an established, highly respected, locally owned and controlled financial services firm. In early 2013, he moved his practice to the main Crossbridge Financial Group office in the Linden Oaks Office Park in Penfield and in June 2014 became a partner of the firm. Bill has been a CERTIFIED FINANCIAL PLANNERTM professional since 2008 and an Accredited Investment Fiduciary® designee since 2011. He holds FINRA Series 7 and 66 securities registrations and is licensed for health and variable life in New York and Florida, as well as certified in New York State long-term care insurance. He is an active member of the Financial Services Institute. He has a BS in finance from the State University of New York at Oswego. A native of Ontario, New York, Bill lives in Penfield with his wife, Lisa, and daughters Brooklyn and Bristol. In his free time, Bill enjoys reading, playing golf, and traveling with his family. Aaron joined Crossbridge Financial Group in 2015 after spending the previous 10 years in the retirement services industry with Paychex, Inc. During those 10 years, he held various positions in service, operations, and management, most recently as a supervisor for the Financial Advisor Support team. Aaron enjoys helping others achieve their goals whether personal or financial. In 2017, Aaron received the Certified Retirement Counselor® (CRC®) designation from the International Foundation for Retirement Education. Also, he holds the Accredited Investment Fiduciary® (AIF®) designation since February 2016. Aaron received his BS from SUNY Brockport in 2005 and holds FINRA Series 7 and 66 securities registrations. He is licensed for health and variable life insurance in New York. Aaron lives in Webster with his wife, Jenna, and their children: Charlie, Natalie, and Audrey. Jerry is a Webster, New York, native. He attended Holy Trinity Grammar School and Webster High School. As a teen, Jerry worked for his father in the family bakery business. He worked his way through college, graduating with a degree in business administration. 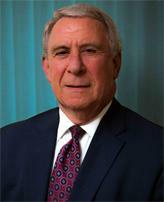 In 1983, Jerry began his career at IDS Financial Services, which eventually became Ameriprise Financial. While there, he was a Mercury Award winner and Gold Team manager and became a district manager with 23 financial advisors reporting to him. Jerry was responsible for training many of the most successful planners at the firm, and he managed the third-largest district in the nation. In early 1997, along with his partners, Jerry formed Crossbridge Financial Group, LLC, in order to provide a truly independent and comprehensive approach to financial planning. Crossbridge Financial Group believes that, in order to provide world-class service and guidance, an investment professional should be free from the influences present at many of the traditional Wall Street firms. He has consistently been recognized as a top-level producer, ranking in the top 10 percent of independent advisors associated with Commonwealth Financial Network®, an independent broker/dealer. Jerry is the managing principal at Crossbridge Financial Group. Jerry has been a CERTIFIED FINANCIAL PLANNERTM professional since 1989. He is licensed in 40 states, holds FINRA Series 6, 7, 22, 24, 63, and 65 securities registrations as a Registered Representative of Commonwealth Financial Network. 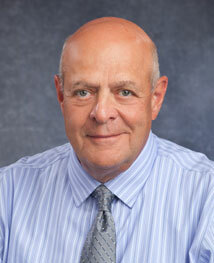 Jerry is also licensed for health and variable life as well as certified in NYS long-term care insurance. He is an active member of the Financial Services Institute. Jerry lives in Webster with his wife, Denise. They have three children: Andrew (Elizabeth), Kristina (Daryl Barth), and Aaron (Jenna); and six grandchildren: Jimmy, Jerry, Charlie, Camryn, Natalie, and Audrey. 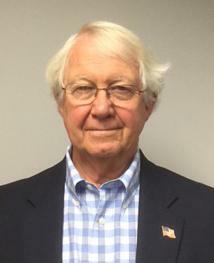 Jerry is active in the Webster community: he is treasurer of Webster Kiwanis, former Kiwanian of the Year Award recipient, and head of the Clive Bubb Memorial Golf Tournament. He was an active WAA baseball coach for many years and now enjoys watching his grandchildren learn the sport. In his free time, Jerry enjoys golfing, reading, and gardening. Certified Financial Planner Board of Standards Inc. owns the certification marks CFP®, and CERTIFIED FINANCIAL PLANNERTM in the U.S., which it awards to individuals who successfully complete CFP Board's initial and ongoing certification requirements. Uwe began his career as a financial advisor in 1990 with IDS Financial Services, which eventually became Ameriprise Financial. While there, Uwe was a successful financial advisor, training manager, district manager, division vice president, field vice president, and franchise field vice president. During Uwe’s 26 years with Ameriprise Financial, he received many awards, including the advisor rookie of the year, mercury level, outstanding training manager, silver team, national premier performer, and national outstanding leader award (twice) for excellent leadership and results. In 2017, Uwe joined Crossbridge Financial Group, LLC, in order to provide a truly independent and comprehensive approach to financial planning. He believes that in order to provide world-class service and guidance an investment professional needs to be free from the influences at many of the traditional Wall Street firms. Uwe is proud to be associated with the Commonwealth Financial Network®, a leading independent broker/dealer. Uwe is licensed in 25 states and holds FINRA Series 6, 7, 24, 51, 63, and 66 as a Registered Representative with Commonwealth Financial Network. Uwe holds the North Carolina state IAR and state securities licenses. Uwe lives in Chapel Hill area of North Carolina. Uwe has two grown children, Chris and Chimene. Uwe is active with the North Carolina Food Bank and Book Harvest. In his spare time, Uwe enjoys anything active and outdoors including running, biking, hiking, camping and traveling as well as tracking his car on various road courses within the Southeast. Tom has studied and worked in the field of finance for the past thirty-five years, including 20 years helping clients achieve their financial goals. In 1996, after completing his MBA, Tom made a career transition from corporate to personal finance. It was the ideal way for him to combine his technical experience and personal interest. The importance of a strong work ethic and saving for the future was instilled in Tom at an early age, as the son of small business owners. And yet Tom observed as an adult how quickly families could find themselves struggling through economic downturns or unexpected tragedies, without the benefit of professional, financial advice. Life’s experiences, coupled with education and training, now enable Tom to help his clients interpret financial and economic principals and tailor that knowledge to their particular circumstance. Tom takes a personal interest in his clients, and his clients, in turn, are comforted knowing his advice is in their best interest. Tom has a bachelor of business administration degree in finance from Kent State University, an MBA from the University of North Carolina-Greensboro, and has been a Certified Financial Planner™ since 1999. He is licensed in five states and holds FINRA Series 7, 63, and 65 securities registrations as a Registered Representative with Commonwealth Financial Network®. Tom holds health, long-term care, and variable life licenses. Tom relocated from Ohio to Chapel Hill, North Carolina, with his wife, Mindy, in 1994. They have a daughter, Mallory. In his free time, Tom enjoys the struggle of his golf game, classic rock, travel, gardening, and reading. Julie was born and raised in Brighton, New York. She earned her BA from St. Lawrence University. Julie began her career in the financial services industry in Boston where she worked for several leading money management firms, including Putnam Investments and Eaton Vance Distributors. She moved back home in 1996 to join Salomon Smith Barney as a financial consultant, a firm that would later become Morgan Stanley Smith Barney. Julie was also a private client advisor with J.P. Morgan Securities for more than 10 years, where she customized investment strategies for individuals, families, and businesses. Julie is passionate about helping people simplify their financial lives so they can focus on enjoying what truly matters to them. After years of managing clients' assets at traditional Wall Street firms, she chose to join Crossbridge Financial Group in order to offer truly independent financial advice to her clients. She believes in the power of freedom of choice and the value of comprehensive advice. Julie holds FINRA Series 7, 6, 63, and 65 securities registrations and is licensed for health and variable life insurance in New York. Julie lives with her family in Brighton. In her free time, she enjoys skiing, hiking, paddle tennis, playing golf, gardening, and traveling. 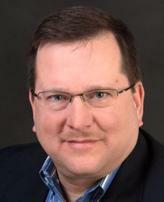 Doug Weaver is a new member of the Crossbridge Financial Group. 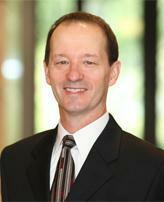 Doug joins Crossbridge Financial with more than 30 years of experience as a financial professional. 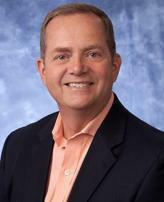 He started his advisory practice in 1986 with IDS Financial Services, now known as Ameriprise Financial. At Ameriprise, he was a senior financial advisor, branch manager, registered principal, national trainer for the company’s Financial Advisory Services, and a private wealth advisor. Doug has been a Chartered Financial Consultant® professional since 1997 and holds the Chartered Retirement Planning CounselorSM designation. He is licensed in 14 states and holds FINRA Series 7, 9, 10, 24, 63, and 65 securities registrations as a Registered Representative with Commonwealth Financial Network®. Doug holds health and variable life licenses and is a member of the Financial Planning Association and a member of the Million Dollar Round Table. Doug lives in Durham, North Carolina, with his wife, Mary. He and Mary are avid college basketball fans and they enjoy walking, travel, and visits to the beach. Doug's hobbies include tennis, golf, biking, and skiing. After completing his education at East Carolina University in 1968 with a BSBA in economics/business administration (with a French minor}, Doug embarked on a now five-decades-long journey through the world of high finance. Starting first in mortgage banking for 10 years, he worked with builders to help folks purchase homes. One of his employers invented the concept of mortgage-backed securities. During this time, Doug served his country in the Active Reserve as a communications platform instructor. Today he retains a working knowledge of Morse code, though he notes that this is not an employable skill. Later there was a stint in the savings and loan industry during the tumultuous days of disintermediation. Many lessons were learned and hardships endured. In 1985, he entered the world of personal financial planning, which he thoroughly enjoys to this day. Helping clients achieve their goals has been fulfilling on multiple levels. Known as an engaging public speaker, Doug has been a presenter for multiple companies, educating employees regarding their benefits and other financial issues. Doug is a CERTIFIED FINANCIAL PLANNER TM professional. His passion is to guide clients through the financial challenges they face. One of his many strengths is knowing the mistakes to avoid. Doug’s current clients encompass a range of ages, from 10 years old to 96-year-old twins. After spending five years in public accounting with Karperski Dinan & Rink CPAs, Pete joined Crossbridge Financial Group in 2017 as a financial planning assistant. He brings experience in performing financial statement audits, employee benefit plan audits, tax return preparation, and client service for a variety of industries. Pete is driven by understanding his clients' needs and finding a solution to help them achieve their goals. Pete is a licensed CPA. 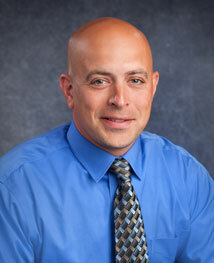 He received his MBA and BS in accounting from St. John Fisher College in 2012. Pete holds FINRA Series 7 securities registration. Pete resides in Fairport with his wife, Jennifer. In his spare time, he enjoys playing hockey, golfing, and spending time with family. Megan joined Crossbridge Financial Group in 2014 as a planning associate for John M. Adamczuk, MS, CFP®, AIF®. She is responsible for operational and service support for his clients, as well as assisting with the financial planning process. Megan takes pride in putting clients first; she is always willing to go above and beyond to meet their service needs. Megan has extensive financial industry experience, previously working at Manning & Napier and Morgan Stanley. While at those firms, she gained valuable securities industry knowledge. Megan holds FINRA Series 7 and 66 securities registrations and most recently obtained her Registered ParaplannerSM designation. She is a New York State notary public as well as a graduate of Monroe Community College with an AS Liberal Arts. Megan resides in Victor, New York, with her husband and three children. When she isn’t attending one of her children’s many sporting events she enjoys spending time with family, running, and traveling. 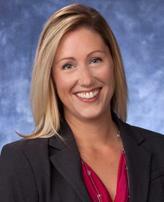 Samantha joined Crossbridge Financial Group in 2013 with 15 years of experience in the financial industry. As planning assistant to Gerald and Aaron Randisi, CFP®, she takes great pride in putting clients first—always willing to go above and beyond to meet their account service needs. She enjoys getting to know Jerry's and Aaron's clients and learning more about financial planning and investment vehicles. Previously, she worked for a firm in Pittsford, New York, whose primary focus was life insurance. Samantha graduated from Bryant and Stratton Business College with a degree in business management. Sam and her husband, Matthew, and daughter, Kameron, live in Webster, New York. Sam is a strong advocate for financial planning because she knows firsthand what a good plan can accomplish. Samantha's passion is cooking. When she is not in the kitchen, she is out gardening, biking, hiking, stream and pond fishing, or creating new adventures with Matthew, Kameron and Finn, their 3.6 pound Yorkshire terrier. After more than 20 years as an educator and another 10 years working in the insurance and financial advisory industries, Susan joins Crossbridge Financial Group in 2017 as a client services manager for private wealth advisor Doug Weaver, ChFC®, CRPC®. Susan is personally responsible for providing service and support to Doug and his clients, meeting their needs while always seeking to exceed expectations. She is passionate about the pursuit of financial freedom for everyone through the achievement of financial goals. A graduate of Mars Hill College with a bachelor’s degree, Susan also has earned two additional graduate degrees. A student by nature, she is always furthering her education to improve her service to others. Susan holds education and insurance licenses in the areas of property, casualty, accident & health or sickness, and life (with variable life and annuities). She also holds FINRA Series 7 and 66 securities registrations and serves as a North Carolina notary public. Susan resides in Whitsett, North Carolina, with her cockapoo furry child. She is a native of Alamance County, North Carolina, but has also lived and worked in Virginia, Georgia, and Texas. Susan has a passion for helping those in need, donating time and material goods to organizations that provide food, clothing, and job assistance, and even occasionally serving as a wedding officiant. She enjoys reading and writing, playing games, watching movies, and attending concerts and baseball games. Jessica joined Crossbridge Financial Group in January 2018. She is a financial planning assistant to William Pagano and Julie Thomas. She is responsible for operational and service support for their clients as well as assisting with the financial planning process. She enjoys getting to know their clients and takes pride in putting clients first. Jessica has more than 20 years of experience in the financial services industry. Jessica resides in Fairport, New York, with her son Nicholas. She enjoys spending time with her friends and family. Christine joined our team in 2000 as a licensed paraplanner at Ameriprise Financial Services, Inc. As a registered staff member, Christine holds FINRA Series 7 and 63 securities registrations, as well as North Carolina State insurance licenses in accident, life, and health. In 2017, Christine joins Crossbridge Financial Group as director of business operations in Cary, North Carolina. Christine is responsible for the overall operations. She also provides a wide range of client services and communications and support to Chris and his clients, meeting their needs while always seeking to exceed expectations. Over the years, Christine has taken on many responsibilities and is familiar with all aspects of the practice, including overseeing office operations, compliance, tracking new business, transfers/rollovers, and insurance. 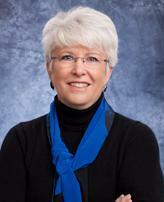 Prior to her career with Ameriprise Financial, Christine worked for Chrysler Capital Corporation as an accountant. She is a graduate of Mercy College with BS in accounting. Christine was born and raised in Mahopac, New York, and currently resides in Cary, North Carolina, with her husband, Chris, sons Brandon and Trevor, and British golden retriever Torrey. She enjoys spending quality time with all of them as well as cooking, watching movies, reading, and planting. Susan was born in Buffalo and raised in Fairport, New York. She earned her BS in computer science from North Carolina State University. 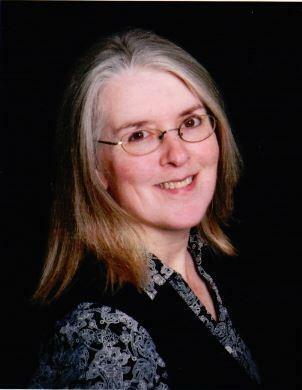 Susan began her career in information technology and spent 15+ years working as an application support specialist maintaining pricing and engineering systems. She enjoyed working closely with the client community that relied on these systems. She started working in the financial services industry in 2015 for Ameriprise as part of Christopher G. Murphy and Associates. Susan joins Crossbridge Financial Group in 2017 as a client services coordinator, supporting private wealth advisor Chris Murphy and financial advisor Brandon Hughes. In her current role, Susan helps the team with business processing, meeting preparation, mailings and other various client related services. 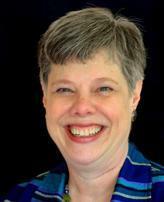 Susan resides in Raleigh, North Carolina. She is an avid music collector and reader. She is active in local elections, serving as a Wake County precinct official, and has spent many years as a library volunteer. Chris joined our team in 2011 with a depth of experience in the financial advisory business. As a registered staff member, Chris is a CFP® and holds FINRA Series 6, 7, and 63 securities registrations, as well as New York State insurance licenses in life and health. She is certified in NYS Partnership Long-Term Care Insurance. A graduate of Wittenberg University, Chris began her career at IDS Financial Services, which eventually became Ameriprise Financial. Later she joined Chase Lincoln Bank, now JPMorgan Chase Bank, where she served as a senior financial advisor in the Trust department. Her drive to offer truly independent financial advice and services led her to open her own financial planning firm, Stevens Financial Advisors, in 1991. This opportunity allowed her to gain extensive experience in developing and managing investments, retirement, and estate plans, as well as providing employee benefits management to businesses. As our business manager, Chris is responsible for the overall operations of our firm. She provides a wide range of client services and communications and is glad to help with any issues that may arise. A native Rochesterian, Chris is passionate about urban revitalization and working to improve our great community. She is the current president of Upper Monroe Neighborhood Association, an active volunteer, avid gardener, and enjoys spending time with her husband and their three children. Debra’s career has been primarily in market research, working with such firms as Gordon S. Black Corporation (now Harris Interactive), Saatchi & Saatchi, HSBC, ESL Federal Credit Union, and Daymon Worldwide. Now semiretired, Debra has joined the Crossbridge Financial Group team part-time as a receptionist and administrative assistant. Debra lives in Fairport with her husband, John, and her two cocker spaniels, Poppit and Charlie. She enjoys time with her seven grandchildren. As an avid reader, gardener, writer, painter, photographer, and cook (as well as playing with the pups), Debra keeps a full schedule.